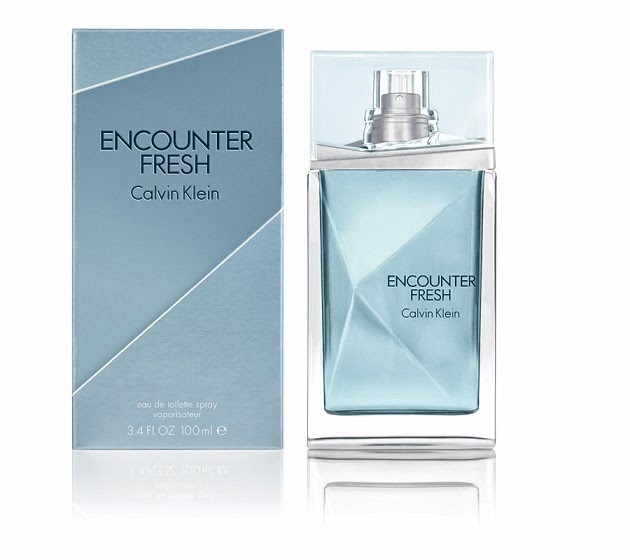 Calvin Klein new fragrance ENCOUNTER FRESH blends an invigorating energy with rich wood notes for a fragrance that is modern and captivating. The fragrance opens with soft, clean top notes of Italian bergamot and a refreshing mojito accord. extracts of light rum, cardamom and lavender give the fragrance a confident, elegant edge. a dry down of cistus leaves and patchouli blended with creamy sandalwood creates a magnetic, empowering sensuality. The design introduces a lighter interpretation of the signature ENCOUNTER fragrance. The light blue bottle creates a fresh, sleek look, while the shattered glass design suggests tension beneath the surface. the concept is carried through to the outer packaging with a rich, metallic finish that captures the essence of the multi-dimensional Calvin Klein man. The campaign continues the sophisticated story of a confident man in control of his desires, portrayed by Alexander Skarsgård. as his encounter evolves, the daylight awakens a new sense of mystery along a cliffside road.